Quiet, family-run 3-acre park. Easy access. 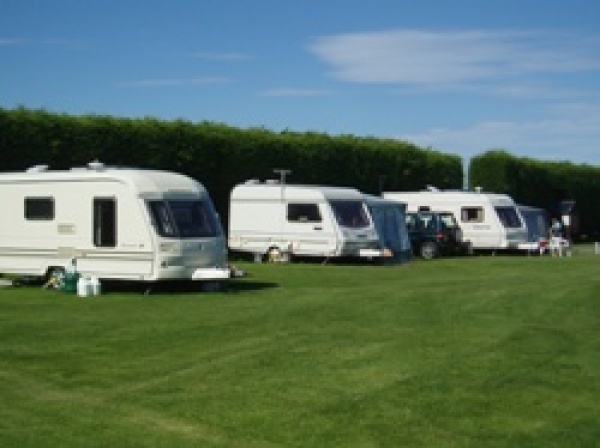 Level, sheltered, spacious pitches (grass). Some hard stands available. 'EHU' points. Spotlessly clean facilities. Laundry room. Owners on site to maintain high standards - facilities cleaned twice daily. Superb location for beaches and walking. Dunstanburgh Castle within walking distance, as is the small fishing village of Craster (1 mile). The Cottage Inn pub in Dunstan Village is within easy walking distance for meals. Dogs are welcome at this pub. In Craster, just under a one mile walk, Robsons Fish Restaurant and The Jolly Fisherman both offer a varied menu. Howick Hall Gardens, Alnwick Garden and Castle, Seahouses and the Farne Islands, Bamburgh Castle, Cragside, Warkworth and Lindisfarne, are within a 5 - 30 min drive. Local beaches are clean and sandy are can be reached if you like to walk via a network of footpaths over the heughs (approx 2 miles). Coast is about 1 mile. Birdwatchers will be spoilt for choice for places where they can watch coastal birds (some locations with hides). A good area for cycling too with numerous Sustrans cycle routes. Golfers can enjoy many courses within the area. 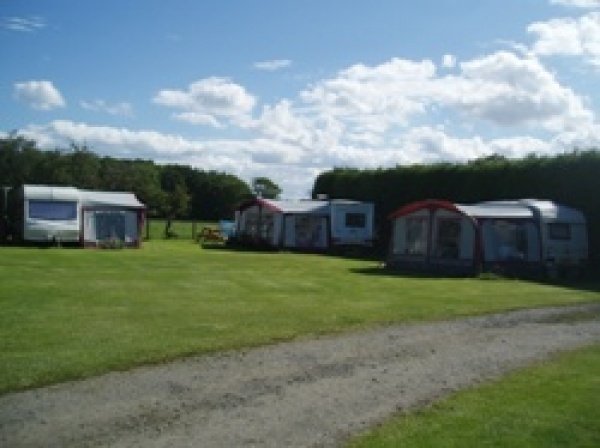 This is a lovely, clean, well kept, welcoming caravan park. 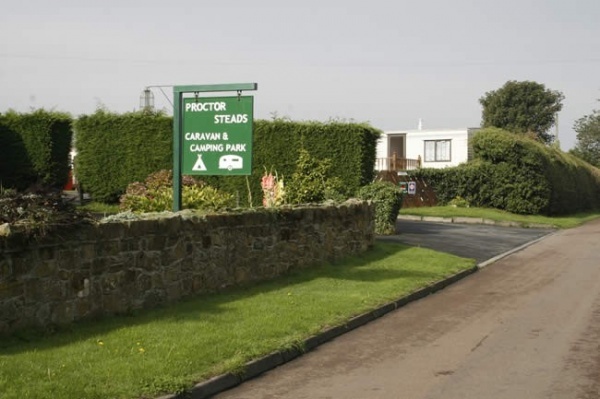 We chose Proctors Stead due to it's location and with no other information. It is close to a lovely welcoming pub with good reasonably priced food and a short walk from Craster. Perfectly located for sightseeing on the Northumberland coast. The site is so quiet, at night there is no noise apart from the occasional owl. There is a laundry on site, the showers and toilets are roomy and spotless, there are recycling and general waste bins as well as elsan and grey water disposal. The people in reception are so friendly and helpful. It is close to a well served bus stop. I loved it. We love this place . A great site for a base to visit all the amazing beaches and sights around Northumberland. The large field is beautifully kept . You don’t feel closed in . The water point etc is near to the toilet block so can be a walk . But I like this because you don’t have the constant sound of people pulling the water carries or the bins . Which is often the case on Caravan Club sites . It’s so peaceful we slept until mid morning. The owners are lovely and they have a smart new reception office with a fridge and a few groceries. We are in safe hands. The legacy goes on. Marvellous. For over 30 years we have enjoyed this camp site. Mr & Mrs Davidson ran a really relaxed, clean, sensible site and always made us feel welcome. It was very sad news when we learned of Mr Davidson senior passing away, a proper gentleman. Well I'm pleased to say that he taught his kids well and they have followed his example and continue to provide a site we love and just keep going back to time after time. Long may it continue. Good luck to "the young 'uns" and thank you. What a super site. We stayed here in our camper for 3 nights. Facilities whilst a bit basic were immaculately clean and well appointed. The pitches were well kept and well spaced out too. Great location with an ok pub 10 mins walk down the road.